Chinese investment first started to flow to the European Union after the 2007-2008 Global Financial Crisis as a result of the emergence of profitable opportunities connected to the forced privatizations of formerly State-owned enterprises (1). Apart from wanting to take advantage of the severe drop in assets prices to simultaneously acquire technology and know-how to sustain their advancement in the domestic market, Chinese enterprises decided to intervene to “save” European companies from bankruptcy also in name of the close economic and commercial links between the two regions. Indeed, the EU is China’s biggest export market and, mutually, China is the EU’s second largest partner after the US, therefore leaving the European region in deep crisis without intervening would have surely brought negative consequences to China’s domestic economy, as a weak Euro reduces the competitiveness of Chinese imports to the continent. The motivations behind the country’s interest in the EU as investment destination can be divided into ‘push’ factors and ‘pull’ factors, with the first being connected to China’s domestic situation and the latter taking into consideration the attractive elements of the host region (2). Specifically, the ‘push’ factors refer to the saturation of the Chinese market and to the strong competition present in some sectors that pressure firms to invest and increase their presence abroad in order to boost exports and seek new outlets for their goods. On the other hand, the ‘pull’ factors have to do with the strengths of the European region, namely the presence of a large sophisticated market with more than 500 million customers with high purchasing power, political stability and efficient institutions, a highly qualified workforce, advanced technologies, commercial knowhow and a transparent and welcoming investment environment (3). Chinese enterprises are currently present in each and every country belonging to the EU-28 group, even if the amount of capital poured into the various Member States varies greatly, partially as a result of a series of transactions of significant value that somehow distort data (4) and partially as a consequence of the different degree of attractiveness that each Member State holds for Chinese investors. In particular, during the early phase of Chinese investments coming to the EU, flows were almost exclusively concentrated in the so-called ‘Big Three’, so as to say United Kingdom, Germany and France. By looking at the countries in question, the first thing that stands out is the fact that they are all large-market countries characterized by a wide consumer base with high purchasing power. In view of the fact that the main reason why Chinese companies have started to invest their capital in the EU is to gain access to a new sophisticated market and find different outlets for their goods, it is easily understandable that the ‘Big Three’ were the first countries to attract Chinese FDI (5). In recent years, though, the presence of countries on the brink of financial collapse such as Greece, Spain, Ireland and Portugal and the importance attributed by the central government to the implementation of the One Belt One Road initiative have pushed Chinese investors to look beyond Western European countries and into the Southern and Eastern parts of the Eurozone respectively. Southern European countries started to become attractive destinations in the moment when Chinese investors realized that the Southern European region, being the most seriously affected by the 2007-2008 events, was offering profitable opportunities coming from the presence of many renowned brands in dire financial straits and formerly State-owned enterprises being privatized (6). This led to an increase in the percentage of transactions directed to the PIGS (Portugal, Italy, Greece and Spain) of over 20% in just 3 years, from 10% in 2011 to 30% in 2014. On the other hand, the Central Eastern European (CEE) region is currently gaining increasing importance due to the combination of its strategic position as a bridge between the Asian continent and the largest EU countries, the availability of skilled workforce at cheaper prices compared to Western Europe and low barriers to market entry that allow for the establishment of new production sites (7). The first interactions between CEE countries and the PRC began in 2012, before the official announcement of the One Belt One Road initiative by President Xi Jinping, when the then premier Wen Jiabao proposed the creation of a new format titled ‘16+1 Summit’ aimed at discussing the development of trade and infrastructure projects between China and the involved countries. The 16 participants include 11 EU countries (Bulgaria, Slovenia, Croatia, Slovakia, Czech Republic, Hungary, Poland, Romania, Estonia, Latvia, Lithuania) and 5 non-Member States, so as to say Albania, Bosnia and Herzegovina, Macedonia, Montenegro and Serbia (8). When presenting this new initiative, premier Wen highlighted the importance of fostering a mutual exchange between the two regions that can turn out to be beneficial for both parts. In fact, China is a leading actor in the construction and infrastructure field and, therefore, can help the CEE region be more connected with the rest of the world; on the other hand, CEE countries excel in other industries such as bio-pharmacy, brewery and aircraft manufacturing and can transfer to Chinese enterprises the know-how connected to these sectors (9). CEE countries welcomed the initiative with enthusiasm as they were looking for something to mitigate the backlash generated from the economic crisis and – during the 2014 Belgrade Summit – they agreed to the implementation of infrastructural projects financed by the AIIB aimed at creating sea and land connections between the two regions (10). In recent years, though, there has been a change in the countries’ attitude towards cooperation with China as most of the promised infrastructural projects and fundings have not yet materialized. Indeed, according to MERICS database on the One Belt One Road initiative, since 2013 the Chinese government has completed projects for a total value of US$715 million and currently has projects amounting to US$3 billion underway; on the other hand, the value of the planned but not yet started projects is estimated around US$ 7 and 10 billion according to the considered sources (11). In light of these figures, it is easy to understand why China’s lack of tangible results in building the promised infrastructure has generated some discontent when mixed with CEE countries’ hyped expectations. Back in the days when Chinese investments in the European Union were almost exclusively addressed to the ‘Big Three’, the sectoral distribution of these transactions was as limited as their geographical destination. Indeed, the Chinese presence in European economy was entirely concentrated in the manufacturing, heavy industry and infrastructural sector (12), namely the three fields that were the most interesting for Chinese enterprises to gain access to the technological know-how that could give them a comparative advantage on other firms operating in the same field back in Mainland China. In recent years, though, the more homogeneous intra-EU distribution of Chinese FDI flows has been accompanied by a broadening in the scope of said investments, that are now targeting with different weightings all economic sectors, including those of low strategic value such as the entertainment or sports industry. A study carried out by scholar Xavier Richet has highlighted that Chinese investments in the EU are currently following a three-axis categorization on the basis of their geographical and sectoral destination (13).. The first axis is oriented from the CEE region, where investments are concentrated in the low-tech manufacturing industry in order to take advantage of lower labour costs, to Western Europe, where Chinese presence mainly revolves around medium-high technology manufacturing, research and development and business-related services and is mostly aimed at acquiring technology assets, brands and global distribution channels (14). The second axis is oriented from Northern European countries, whose economies are strong in high added value sectors such as advanced engineering and ICT, to Southern European countries, where Chinese investments tend to concentrate in sectors having lower added value such as tourism, real estate, retail and consumer goods (15). Lastly, the third axis goes from Southern European countries to the Southern Eastern European countries that are still awaiting to obtain EU membership. In this case, the Chinese capital flowing to the area is mainly attracted to the opportunities posed by the low cost of assets and the lack of EU regulations that allows Chinese firms to operate more freely (16). China’s sudden interest in the European Union as investment destination has produced mixed reactions, ranging from enthusiasm to suspicion and anxiety. In fact, citizens from a selection of 12 EU countries surveyed in the 2011 edition of the Transatlantic Trends pool have revealed that Europeans are split when it comes to viewing China as an opportunity or a threat (17). Overall, it seems that 41% of the surveyed European citizens have a negative perception of Chinese FDI, while 46% thinks that the benefits for the European Union outshine the potential disadvantages (18). The reason for this varied perception lies in the fact that there is not a simple answer to what the true impact of Chinese investments in the European Union is, as both challenges and opportunities can arise depending on the particular features of each individual case. As far as the regional economy of the European Union and the domestic economy of single Member States are concerned, Chinese presence is positively linked to job creation, the maintenance of already-existing jobs in at-risk companies and the emergence of new business opportunities for European enterprises in the Chinese and Southeast Asian market. At the same time, though, the lack of reciprocity in Sino-European investment relations poses serious risks to EU’s competitiveness by giving rise to unfair competition between the two regions. Indeed, at present, while China is able to enter the EU market freely and carry out investments in all its sectors of interest, European firms are conversely not allowed to operate with the same degree of freedom in the Chinese market (19). Specifically, there are sectors – such as telecommunications and media – where access is completely forbidden to foreign-owned enterprises, while investment proposals in the remaining fields have to undergo a tight screening procedure conducted by the Central Government. Furthermore, in the event that an investment receives a green light, European firms are obliged – in order to successfully operate in the Chinese market – to set up a joint venture with a Chinese counterpart outside their control and with which they are expected to share technology. This obviously raises valid concerns on the possibility for the European Union to lose its leading role in science and technology to China, as a result of giving it free access to European know-how without making it possible for European businesses to mutually learn new skills from their Chinese counterparts. Instead, as far as national defense and security is concerned, it can be safely stated that – even if Chinese investors are becoming more confident in themselves and are currently proposing bolder investments connected to some of the EU’s strategic assets – up to today there is no factual evidence that Chinese FDI in the region is posing a threat to regional security. What is certain, though, is that national defense is a matter of utmost importance and that steps should be taken at EU level to harmonize the existing FDI screening mechanisms at Member States’ level and provide common definitions of what classifies as a national security threat in order to present a united front against future investment proposals having potential negative implications for the security of the area. Finally, as far as political consequences are concerned, the increased Chinese presence in the European Union is undoubtedly fostering dialogue and cooperation at all levels and in a wide range of different sectors. Still, many scholars around the world fear that China is actually trying to use FDI as an instrument of coercion in order to gain political leverage on the European Union, thus creating a situation where the EU becomes politically dependent on China. Furthermore, the PRC’s recent attempts to launch sub-regional platforms with groups of European States, such as the ‘16+1’in the CEE region, the ‘5+1’ in Northern Europe and the ‘6+1’ in Southern Europe, are considered by some as a display of a ‘divide and rule’ strategy aimed at increasing competition between the various countries in the region and breaking the European Union from the inside by turning Member States against each other (20). In reality, as things stand today, these are mainly theoretical hypothesis as Chinese enterprises are not as intertwined with the central government as it is believed in the West and as the total volume of Chinese FDI in the region is not significant enough to produce such results. Conversely, it can be reasonably expected that, since China is establishing with its enterprises a long-standing presence in Europe, its interests will become increasingly aligned with the European Union and conflict between the two will decrease, as the political stability of the host country will become a key interest for the investor as well. As Chinese FDI flows to the European continent are a recent phenomenon, the European Union is currently still trying to find the most effective way to deal with the increased Chinese presence in its Member States and therefore adjust its policies accordingly. Up to today, everything is still in the making. The way the European Union decides to intervene in tackling the above-mentioned drawbacks posed by Chinese FDI will determine both the future of the EU in terms of competitiveness and the nature of Chinese FDI as either an opportunity or a challenge. 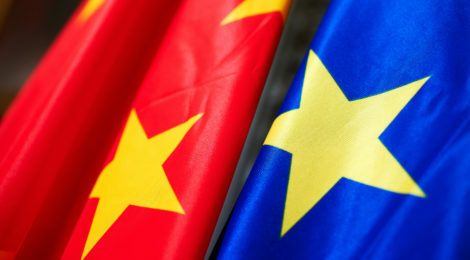 If in the next years Member States manage to find common ground on the harmonization of the currently existing FDI screening mechanisms and succeed in reaching an agreement with China on the issue of reciprocity and market access, Chinese FDI in the European Union will probably bring nothing but opportunities in terms of job creation, increased trade, improved diplomatic relations and greater political alignment. Conversely, if Member States continue to refuse to cooperate on investment law in order to safeguard their country’s immediate needs for greater capital inflows, Chinese FDI will probably in the long run prove itself to be harmful for both EU’s strategic interests and global competitiveness. 1.GUERRERO, Dorothy, Chinese Investment in Europe in the Age of Brexit and Trump, TNI working paper, 2017, pp. 2-3. 3.CASABURI, Ivana, Chinese Investment in the European Union 2016-2017, ESADE China Club, 2017, 43. 4.GRIEGER, Gisela, Foreign direct investment screening: A debate in light of China-EU FDI flows, http://www.europarl.europa.eu/RegData/etudes/BRIE/2017/603941/EPRS_BRI(2017)603941_EN.pdf, European Parliament Research Service, Brussels, May 2017, p.5. 5. CLEGG, Jeremy, VOSS Hinrich, Chinese Overseas Direct Investment in the European Union, Europe China Research and Advice Network, January 2012, p.24. 6. CASABURI, Ivana, Cit., p. 55. 7. DREGER, Christian, SCHÜLER-ZHOU, Yun, SCHÜLLER, Margot, Chinese foreign direct investment in Europe follows conventional models, DIW Economic Bulletin, 2017, p.156. 12. CLEGG, Jeremy, VOSS Hinrich, Cit., p.31. 13. RICHET, Xavier, The Best and Road Initiative and EU-China Economic Relations: Trade, Finance, FDI, International Symposium on Economic Development of BRICS, Shanghai Fudan University, 20-21 April 2016. 15. MEUNIER, Sophie, Political impact of Chinese foreign direct investment in the European Union on transatlantic relations, European Parliament Briefing Paper, 2012, p.12. 17. HANEMANN, Thilo, HUOTARI, Mikko, EU-China FDI: Working towards reciprocity in investment relations, MERICS Papers on China, 2018, 14-17. 18. HELLSTRÖM, Jerker, China’s acquisitions in Europe: European perception of Chinese investments and their strategic implications, Swedish Defence Research Agency (FOI), December 2016, 36-37.